Bitfinex, the world’s largest & highly advanced cryptocurrency exchange, has its headquarters located in Hong Kong. Originally, it was launched only as a P2P (Peer-to-Peer) exchange for Bitcoins. Later, it added support for a lot of cryptocurrencies, eventually becoming a forerunner in the cryptocurrency trading world with high daily trading volumes and liquidity. Bitfinex Exchange is not registered with any legislative board. Even though it doesn’t have an insurance policy, Bitfinex has stated that it had returned all the funds stolen during 2016 to its customers. The trading interface of Bitfinex Exchange is user-friendly for both experienced as well as novice traders. It has also listed a ‘Demo’ option on its homepage so that inexperienced traders familiarize themselves with it before starting their trading practices with Bitfinex. This Bitfinex review will analyse several aspects to provide you with a detailed overview of both the exchange itself as well as its services. Although Cryptimi does its best to provide you with accurate information, updating all the relevant data on a regular basis, we still strongly recommend that you to visit Bitfinex.com for any updates which might occur afterwards. Bitfinex Exchange has tightened its security after falling victim to a hacking attack back in 2016 which resulted in a theft of approximately $72 million worth of Bitcoins. In addition to the default security features like 2FA, U2F (Universal 2nd Factor), it also provides advanced options like IP monitoring, email encryption and withdrawal protection. These features are optional and can be enabled by the users depending on their need. This cryptocurrency exchange stores the majority of the customers’ assets on offline cold wallets, in order to protect them from hackers and other kinds of fraudsters. Bitfinex is a cryptocurrency trading platform which allows the users to trade a lot of altcoins and cryptocurrency tokens. It offers basic as well as advanced trading options like margin trading for its customers. The fees charged by Bitfinex are very nominal when compared to other cryptocurrency exchanges. Since its hacking attack, it has greatly improved the security of the platform by adding advanced security features. This feature is not available on Bitfinex. You must set up a wallet using another exchange like Coinbase. Or you can also buy hardware wallets like Ledger Nano S or Trezor to store the altcoins or cryptocurrency tokens. To learn more about wallets, visit our wallet guides. Exchange Account – is ideal for novice traders to start trading on Bitfinex. It allows for exchange trading and margin funding. Trader Account – get access to all types of trading like margin funding, margin trading up to 3.3x leverage and exchange trading. This option is best suited for serious/professional traders. Funding Account – This type of account allows access to margin funding. It is recommended for users to stick with the Trader Account option. They can change their account type anytime from their account page. 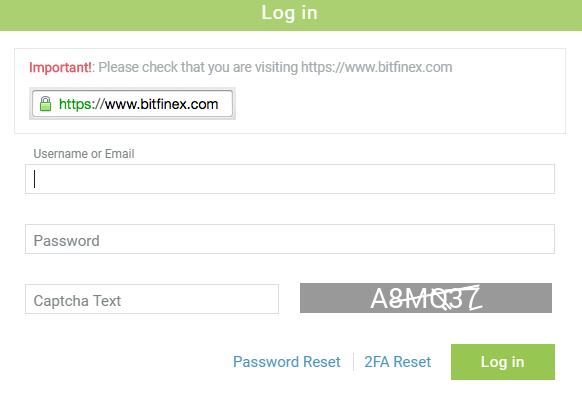 Creating an account on Bitfinex is very simple and won’t take more than few minutes to finish setting it up. And in case a user forgets their password, it can easily be reset using the email address used when registering the account. Navigate to their site and click the ‘SIGN UP‘ link located on the top right of the page. Click the ‘Continue‘ button after reading and agreeing to the terms. Enter your username, email, password, select your time zone and click the ‘Open Account‘ button after completing the captcha and agreeing to the terms. Within a few minutes, you should receive a confirmation email from the Bitfinex team. Click the ‘Confirm Email Address‘ link on that email to finish creating your account. Congratulations! You have successfully created your account on the Bitfinex exchange. Navigate to their site and click the ‘LOG IN‘ link located on the top right of the home page. 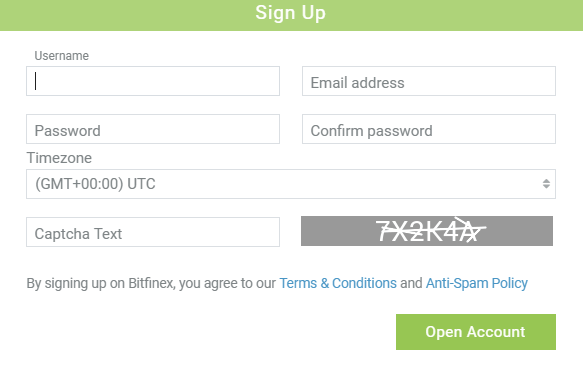 If you are logging to your account for the first time, then you should agree to the terms and conditions before starting to trade on Bitfinex. Users don’t have to submit any documents in order to trade cryptocurrency on the Bitfinex exchange. It is sufficient if the user creates an account by providing and confirming the email address. However, the user must submit the relevant KYC (Know Your Customer) identity documents (passport, driving license etc.) to deposit/withdraw fiat currencies. Usually, it takes approximately 6 to 8 weeks to complete the verification process. Only then, the user can buy/sell cryptos using fiat currencies from the exchange. Bitfinex users can buy a large amount of altcoins and cryptocurrency tokens with a nominal trading fee. Bitfinex accepts both fiat currencies (EUR, GBP, USD and JPY) as well as crypto payments. To buy digital currencies using fiat currency, the users should undergo a strict and lengthy verification process. Recently, Bitfinex has improved the fiat deposit system so that the process will get completed within 10 business days rather than weeks. This example shows how to deposit Bitcoin (BTC) on Bitfinex. You can buy Bitcoins (BTC) from Bitfinex Exchange by depositing fiat currency after verifying your account (the verification process will take a few weeks to get completed). Otherwise, you can buy BTC from exchanges like Coinbase and store them either in Coinbase Wallet or better on your own hardware wallet like Ledger Nano S.
Login to your Bitfinex account and click the ‘Deposit’ link on the top right. Select the digital currency (eg. BTC) which you would like to deposit and agree to the fee terms. Then, you should select any one of the wallets (exchange/margin/funding) based on the type of your account. In this example, the exchange wallet is chosen. Generate the deposit address by clicking ‘Click to generate address’. Then, click ‘Copy to Clipboard’ and paste this address on your wallet from where you will be transferring the Bitcoins. The Bitcoins will get deposited to your account within 30 minutes or more depending on the network delays. You can follow the same procedure to deposit other altcoins provided the exchange supports that coin. To deposit fiat currencies like EUR or USD, you should verify your account by submitting the relevant documents. This example shows how to buy Bitcoin (BTC) using Ethereum (ETH). It is assumed that ETH is already deposited and available on your exchange wallet. Login to your Bitfinex account and click ‘Trading’ from the top left. Select the currency pair (ETH/BTC) you would like to trade. Select the ‘Exchange’ tab from the ‘ORDER FORM’. Then select the type of order (eg. Market) and enter the amount of crypto you would like to buy. Click the ‘Exchange Buy’ button to place the order. Congratulations! You have placed your first order for Bitcoins (BTC). You should receive them on your exchange wallet once the transaction gets completed. This example shows how to buy Ethereum (ETH) using Euro (EUR). It is assumed that EUR is already deposited and available on your Exchange wallet. Login to your Bitfinex account and click ‘Trading’. Select the currency pair (ETH/EUR). Follow the Steps 3 to 4 mentioned in the section above “How to buy Bitcoin”. Congratulations! You have placed your first order for Ethereum (ETH). You should receive them on your exchange wallet, once the transaction gets completed. This example shows how to buy Ethereum Classic (ETC) using USD. It is assumed that USD is already deposited and available on your Exchange wallet. Login to your Bitfinex account and click ‘Trading’ link on the top left. Select the currency pair (ETC/USD) you would like to trade. Congratulations! You have placed your first order for Ethereum Classic (ETC). You should receive them on your exchange wallet, once the transaction gets completed. This example shows how to buy Litecoin (LTC) using Bitcoin (BTC). 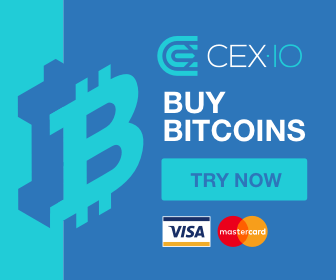 It is assumed that BTC is already deposited and available on your Exchange wallet. Select the currency pair (LTC/BTC) you would like to trade. Congratulations! You have placed your first order for Litecoin (LTC). You should receive them on your exchange wallet, once the transaction gets completed. This example shows how to buy Bitcoin Cash (BCH) using Bitcoin (BTC). It is assumed that BTC is already deposited and available on your Exchange wallet. Select the currency pair (BCH/BTC) you would like to trade. Congratulations! You have placed your first order for Bitcoin Cash (BCH). You should receive them on your exchange wallet, once the transaction gets completed. On Bitfinex exchange, you can either withdraw the funds to your personal wallet or to your bank account. This may only be done if you have verified your account. Login to your Bitfinex account and click ‘Withdrawal’ link on the top right. Select the cryptocurrency/token you would like to withdraw. Fill in the wallet address you would like to send the funds to, enter the amount of withdrawal (You will have an estimate in FIAT next to it) and choose the wallet (exchange/trade/funding) from which the funds are withdrawn. Click the Request Withdrawal button. You will be charged a withdrawal fee depending on the crypto and your funds will be transferred to the chosen withdrawal method. Usually, you will receive the cryptos into your wallet within an hour, whereas in this case, it may take few business days to see the funds in your bank account. For a small withdrawal of an amount less than $250, you will have to wait 7 days before doing another one. Bitfinex exchange allows its members to buy a large number of altcoins and cryptocurrency tokens. Bitfinex Exchange accepts users from almost all countries in the world including the UK, EU, Australia, and Canada. Recently, Bitfinex Exchange has withdrawn its support and service to both individual and corporate organizations in the US. US residents can try Coinbase, as it offers exclusive benefits for its US-based members. Bitfinex doesn’t deduct any fee to deposit cryptocurrencies for amounts larger than $1000. To deposit/withdraw fiat currencies (EUR or USD) via bank transfer, a fee of 0.10% is applied. The minimum amount for fiat deposits is $200 as the minimum fee must exceed $20. A 1% fee is charged for express withdrawals via bank transfer (within 24 hours). The deposit and withdrawal fee for cryptos varies depending on the altcoin or cryptocurrency token. For BTC, a 0.0004 BTC (approximately $2.50) is charged for both withdrawals and small deposits. Small deposits are deposits of less than $1000. 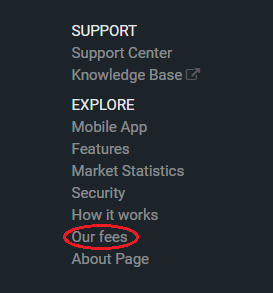 To know the fees for cryptocurrency withdrawals, click on the above-mentioned link. The minimum amount for fiat deposits is $200 as the minimum fee must exceed $20. There are no trading limit on the Bitfinex Exchange. The more you trade, the cheaper the fee. The following payment methods are available on this exchange. Bitfinex doesn’t accept credit/debit card-based payments. Bitfinex Exchange aims to protect its customer’s funds by using advanced security techniques. It highly recommends that users set 2FA protection for their account using Google Authenticator, U2F Security Key or Twilio. In doing so, you will be notified if an unauthorized login attempt has been made. 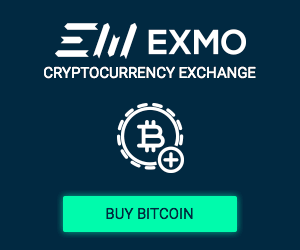 The exchange has added protection for the withdrawals by monitoring behavior patterns. In case the system finds anything abnormal, the withdrawal request will be processed only after a manual inspection. Additionally, the users can also create a whitelist of withdrawal addresses to prevent hackers from stealing funds from their accounts. Bitfinex also provides the option for the users to freeze their accounts in case they find any suspicious activity. To avoid receiving fake or spam emails, users can make use of encrypted email communication using OpenPGP. If you experience any issues with your account, you can contact their support team is by submitting a ticket. This section can be accessed by scrolling to the bottom of their landing page, in the ‘Support’ section (all you need to do it click on ‘Support Center’). Before creating the ticket, you will be asked a number of questions related to your issue. If there is no solution available to your problem on the Knowledge Base, where you will be redirected to their support page. 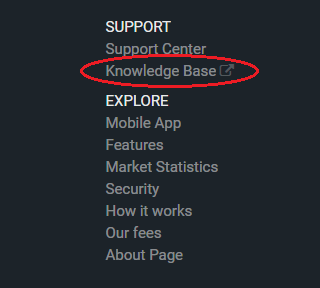 The Knowledge Base section on the website covers almost all the topics related to trading like deposits, withdrawals, verification process and more. To buy/sell cryptocurrencies on the go, users can download the Bitfinex mobile app which is available for both iOS and Android platforms. To download Bitfinex for Android, click on this link here. As for iOS users, the app can be downloaded here. Bitfinex is developing a new decentralized cryptocurrency exchange named EOSfinex which will be built on the EOS.io platform. Recently, the exchange has launched a new version of the fiat deposit system to improve the speed of fiat deposits and verification. Despite the hack back in 2016, Bitfinex has managed to maintain high numbers for daily trading volume and liquidity. This is mainly because of its advanced trading tools and options, and the improved reputation among crypto enthusiast. It is mostly a good choice for the serious/professional traders. The only drawback of the exchange is the lengthy verification process to deposit fiat currencies.